The Learning Center supports adults in their pursuit of an educational path to more confident and effective living. BVM Associate Eileen O’Shea was first connected with The Learning Center when her and other members of Old St. Patrick Church in North Lawndale established the Kinship Initiative, a community development partnership between people in the West Side Chicago neighborhood and the church. Beatriz received adult education from The Learning Center which served more than 150 people last year. 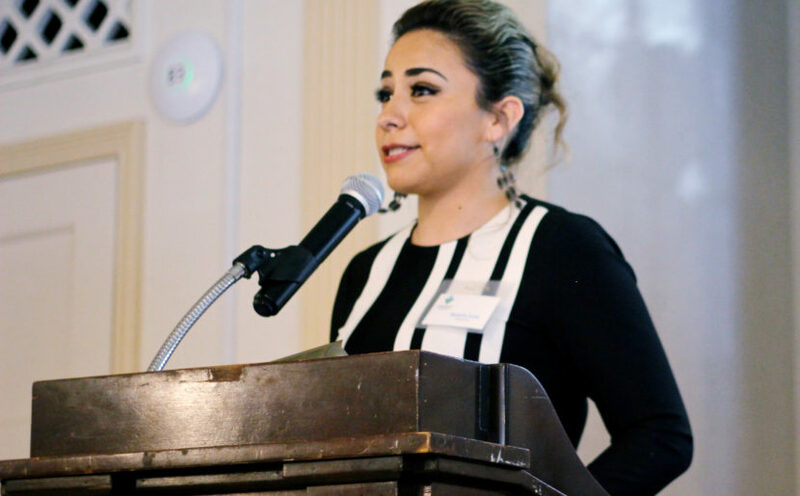 As a teenager, Beatriz emigrated from Mexico to start a new life in the U.S. After living in several areas throughout the country, she eventually settled in Chicago. In October of 2017, Beatriz enrolled in The Learning Center’s high school equivalency program. After several months of studying and hard work, she earned the highest possible score on the TABE (Test for Adult Basic Education). In June of 2018, she passed the HiSET (High School Equivalency Test) and received her high school equivalency diploma. She now works for The Learning Center as a receptionist. To learn more about The Learning Center, visit tlcchicago.org. Ministry Partnership Grants give financial assistance to projects and organizations with which BVMs or BVM associates have current firsthand knowledge of the project or ministry. The grants provide a means of BVM outreach to others according to our vision and values. The BVM Sisters, “seek out and attend to those in need” through our investment ministry partnership grants. Join us in prayer for those who partner with us in ministry. Funding for Ministry Partnership Grants is made possible through the BVM endowment fund. Featured photo: Beatriz shares her experience at a fundraising event for The Learning Center.